How does one become a professional translator? Did you study this in school? While I did take a seminar on literary translation with Suzanne Jill Levine (preeminent translator of Latin American fiction) when I was in college where I produced a rather ghastly translation Julio Cortázar's short story Cartas de mamá, I began translating Latin American theatre when I was in graduate school at the Yale School of Drama in the MFA program in Dramaturgy and Dramatic Criticism. An Argentine named Alberto Minero was running the theatre department of what was then the Institute for Iberoamerican Affairs (now the Americas Society) and had produced a festival of Latin American plays in Spanish in New York City. He sent two of the plays by Griselda Gambaro to the Yale Rep for consideration and Gitta Honnegger, the dramaturg there at the time and one of my professors, knew I had the language and gave them to me to review for consideration at the Rep. Up until that point I had read and studied Latin American poetry and prose but for some reason it had never occurred to me that there was theatre in Latin America. I read the two plays, fell in love with them, translated them, and began my life long mission to introduce English speakers to the vast richness of Latin American theatre. A labor of love that expanded to include theatre from any language in the world translated into English when I founded my journal The Mercurian: A Theatrical Translation Review in 2007. How did you meet and come to collaborate with Ramon Griffero? I first met Ramon in 1991 when USIA and ITI sponsored director/dramaturg teams on trips to Latin America. The then Artistic Director of PlayMakers Repertory Company, David Hammond, and I took a trip to Mexico City, Montevideo, Buenos Aires, and Santiago de Chile during which we met with actors, directors, producers, and government officials in each location and saw a lot of theatre. While in Chile we met Ramón who was both running a cultural center called El Trolley in a warehouse that had formerly been used by the trolley workers union, and had his own theatre company, Teatro de Fin de Siglo. I found him and the work done by his company quite compelling. Several years later we were both part of a grant proposal out of City Theatre in Pittsburgh to do a production of a Calderón de la Barca play. The idea was that I would do the translation and then Ramón would take it and apply his magic to it. That project never came to fruition, but we kept in touch and when I was back in Santiago in 2011 we got together for dinner. As we were saying our good-byes Ramón handed me a collection of ten plays that his company had produced. I read them on the flight back home and immediately contacted him to ask to translate them. Those are the plays in my collection Ramón Griffero: Your Desires in Fragments published by Oberon Books in 2016. Since then I've also translated his play Prometheus, the Beginning as a commission for Ohio Northern University's International Play Festival and am working on a translation of his little book of aesthetic theory, The Dramaturgy of Space. What languages and types of plays do you translate? While I consider myself to be fluent in Spanish I only translate from Spanish to English. There are so many nuances of language and culture that a non-native speaker of the language being translated into will miss. I've focused on translating Latin American theatre and have done plays by the Argentines Griselda Gambaro and Agustín Cuzzani, and the Mexican Sabina Berman, in addition to Ramón's work. I translate plays that offer something that we don't find in our US theatrical culture, dramaturgically, formally, or theatrically. I'm often drawn to plays that I don't initially understand but find theatrically compelling. Translating them, getting inside of them, enables me to understand them and create an English translation that does the same for both my collaborators in the US and for the audience. Join us after the show for a champaign reception to toast our 10 year anniversary! The International Voices Project is celebrating 10 years of bringing global voices to Chicago stages. It also happens to be the Year of Chicago Theatre, which is a fitting coincidence, as Chicago is one of the great global cities for world class theatre and cannot be rivaled in the diversity on its stages. A decade ago, I had the idea of presenting playwrights from around the world, collaborating with Chicago artists, consulates and cultural organizations and allowing the public to attend readings of new and international works - free of charge. In 2019, we can affirm that we have definitely met our goals and celebrate our mission statement. We made our 2009 vision a reality, bringing hundreds of artists to this city to perform for thousands of people and creating lasting partnerships and friendships. Our plays are bold, sharp, witty and provocative. The voices we bring to the stage tell us stories of global impact and importance, and they do so with humor and honesty, brutality and brilliance. We give Chicago artists the opportunity to engage the best of contemporary playwrighting, and they have taken their IVP experiences into full production – bringing these incredible stories form the page to the stage. I am proud of the accomplishments of International Voices Project, especially the hard work of our dedicated staff and Board of Directors, and I look forward to the future with expanded offerings and special events, new partnerships and much more. Thank you for the support you have offered over the last ten years and we look forward to celebrating with you this season. The International Voices Project is going on its ninth year working with Chicago’s ethnic and diplomatic communities to present contemporary plays from around the world. The monthlong festival has plays translated into English then read by professional actors and often followed with discussions of the plays’ significance. One of this year’s plays comes from Syria and it’s a collaboration with the Columbia College Theater department. Mihbaj, by Riat Ismet, explores the family dynamics of military conflict. Set amid a drought and the rise of ISIS, the play offers a humanist view of what’s been going in in the Middle East. To discuss the festival, we’re joined by Patrizia Acerra, the founder and executive director of the International Voices Project, and John Green, who is a professor of theatre at Columbia College Chicago. He is working with with Ismet on premiering Mihbaj at the International Voices Project. We’ll also hear from global citizen Nari Safavi on more ways to have an international good time on the weekend. Keep the festival free! For six years, we have kept our readings free of charge. Now we need your help. Please donate today to keep the new season free and open to the public. Help support IVP by making a donation today. Any amount helps us achieve our goals. International Voices Project (IVP) is proud to announce this year’s five-week celebration of international plays. The ninth season of play readings by playwrights from around the world takes place at Instituto Cervantes, 31 W. Ohio, May 1 – 31 with performances at 7 p.m. The series is presented in collaboration with consulates and other cultural institutions throughout Chicago and this year’s engagement features plays from Spain, Serbia, Poland, Syria, Finland, French Canada, India and Germany. A reception follows each evening’s reading. The International Voices Project is the largest event of its kind in the country and introduces Chicago audiences to some of the most exciting voices on the international theater scene. Performances are free to the public and reservations are requested. For the complete program, more information about IVP, or to reserve your seat, visit our 2018 season page. International Voices Project (IVP), now in its 8th season, presents a five week celebration of international plays. The series is presented in collaboration with consulates and other cultural institutions throughout Chicago and this year’s engagement features plays from Spain, Ireland, Finland, Romania, Serbia, Germany, Australia, India, Wales and Sweden. A reception follows each evening’s reading. The International Voices Project is the largest event of its kind in the country. Performances are free to the public. Reservations are requested. For the complete program, more information about IVP, or to reserve your seat, visit IVPChicago.org. Read an interview with Adaptor of "Voiceless Melodies," Judy Veramendi, who recently was invited and attended The United State of Women Summit. Special Thanks to an audience member who has been attending IVP since the very beginning. Feel free to read what Faye Consuela has to say about her experience with IVP, in the past as well as with a particular show this year. Thanks to the brilliant work of our many translators, it’s easy to forget that the plays presented at IVP weren’t written in English. Robert Myers and Nada Saab, the translators for The Dictator had an especially hard job of it. I contacted Robert to find out more about the work he and Nada did on The Dictator, please enjoy the interview. Knucklebones or jacks is a game that has a very ancient origin. Originally played with the knucklebones of sheep in farming towns, the “jacks” are now manufactured toys usually made of metal although sometimes made of plastic in modern times. In Woman in Berlin, we see the story of a woman who is in an air-raid shelter in Germany. From the 1930s-on we saw a rise in above-ground shelters in Germany to protect against bombing during the war. We're working on new collaborations. 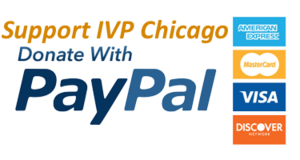 Please subscribe to to our newsletter for the most current IVP Chicago News.